Don't even think about reaching for the canned stuff. 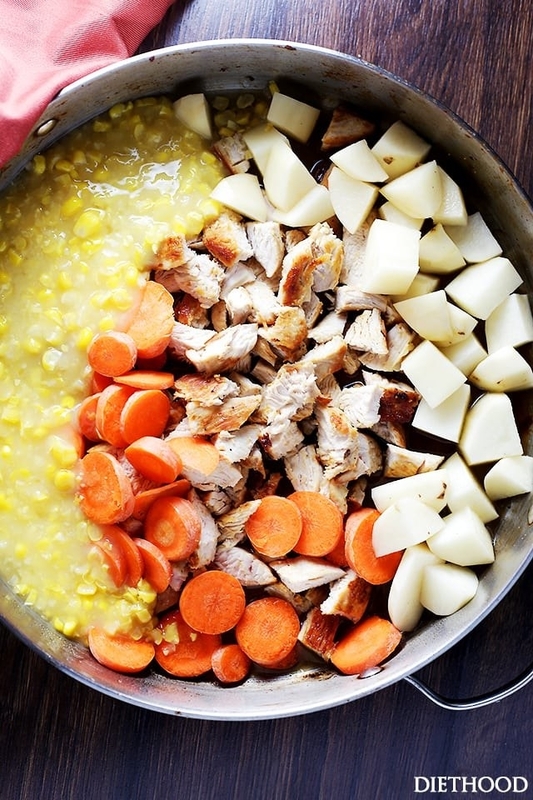 Everyone needs a quick and easy chicken noodle soup recipe to fall back on. Get the recipe. 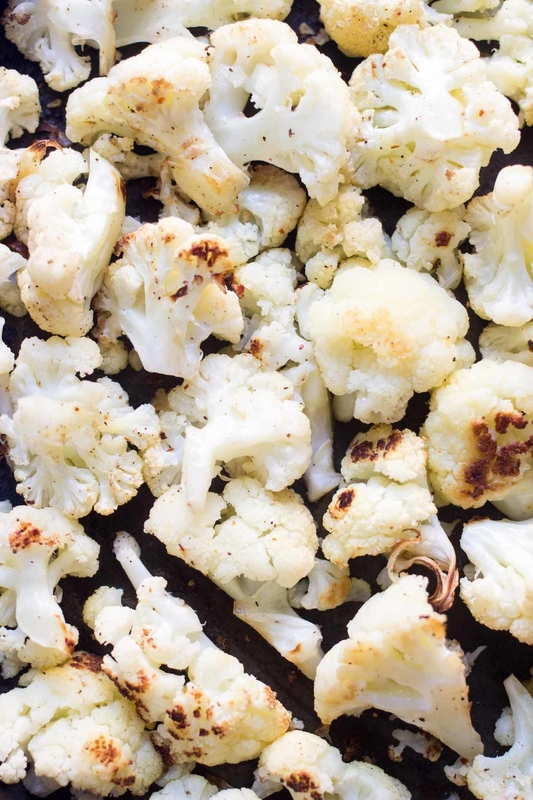 This heartwarming fall dish is a little bit savory and a little bit spicy. Oh, and it comes together in just 15 minutes with a can of pumpkin purée. Get the recipe. 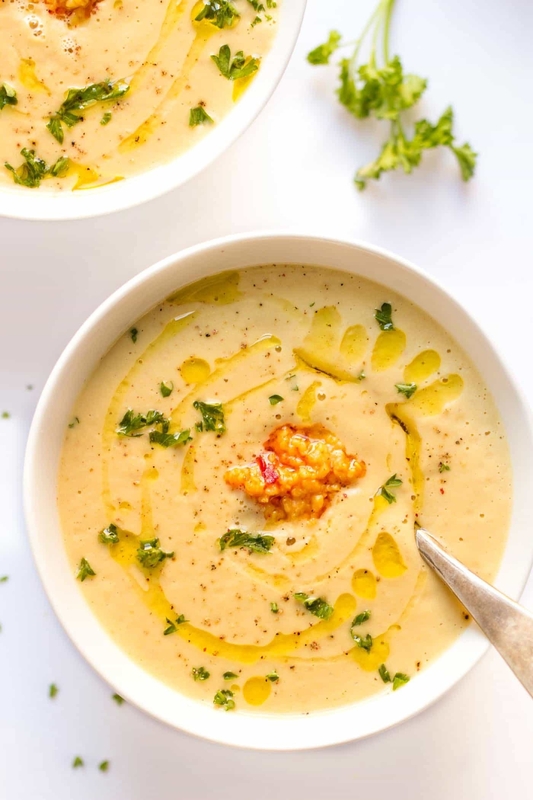 Potato leek soup gets a better-for-you (but equally creamy) upgrade with a head of cauliflower, a few cloves of garlic, and almond milk. Get the recipe. 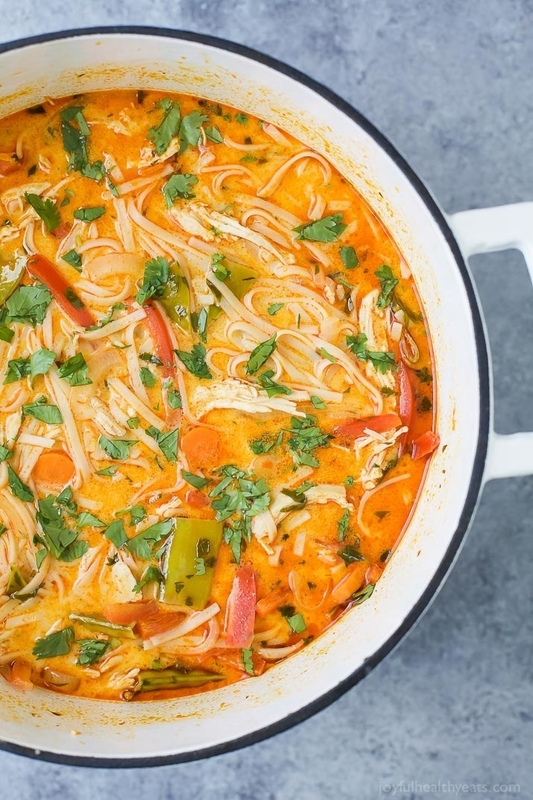 Ready in just 20 minutes, this tomato based chicken noodle soup is bound to be a hit with the whole family. Get the recipe. 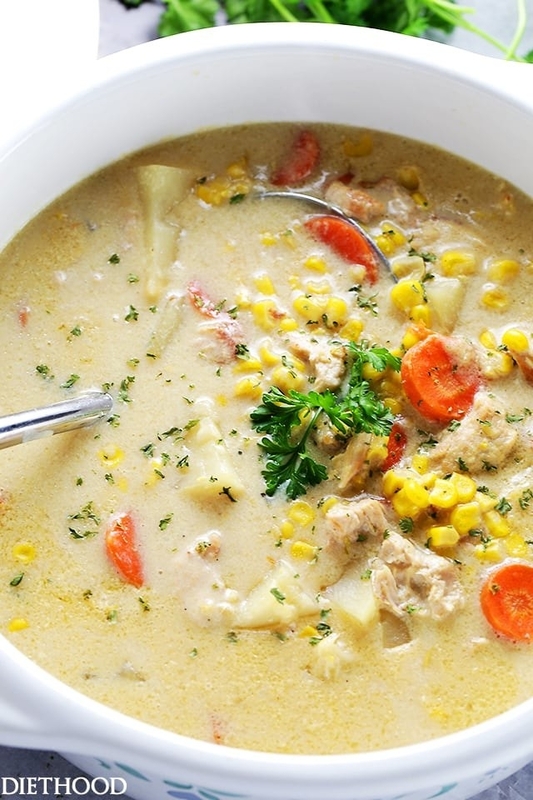 turkey soup to eat over and over again all winter. Get the recipe. Don't have a whole evening to make lasagna from scratch? 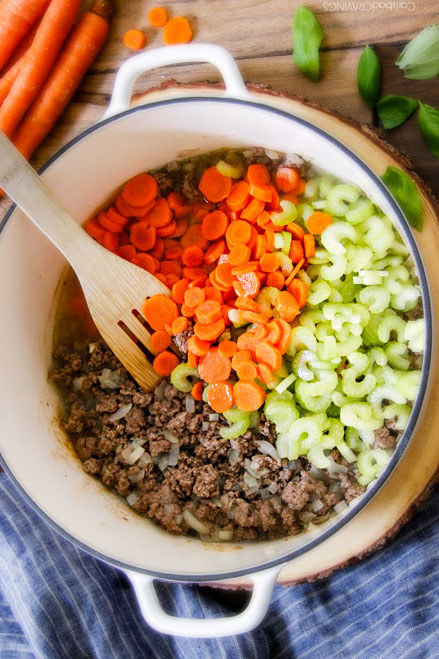 This soup recipe, loaded with cheesy tortellini, ground beef, and tomato broth should do the trick. 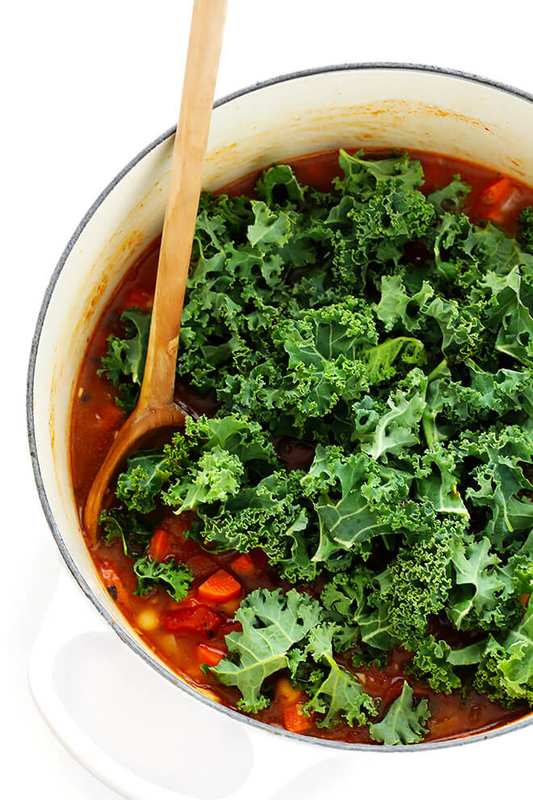 Vegetables have never tasted so good. If you're trying to eat healthier, you can make this recipe with milk instead of half and half. Get the recipe. 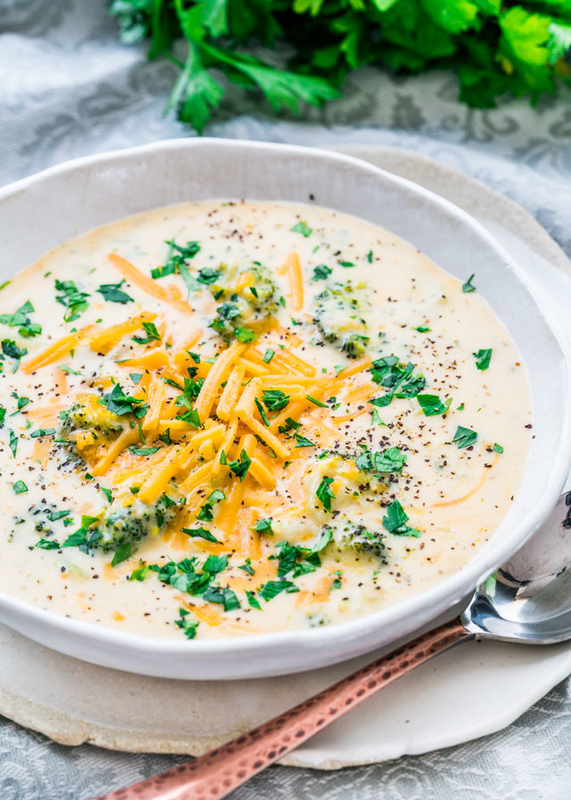 Frozen hashbrowns are the secret ingredient, which allow you to whip up this creamy soup in just 20 minutes. Get the recipe. 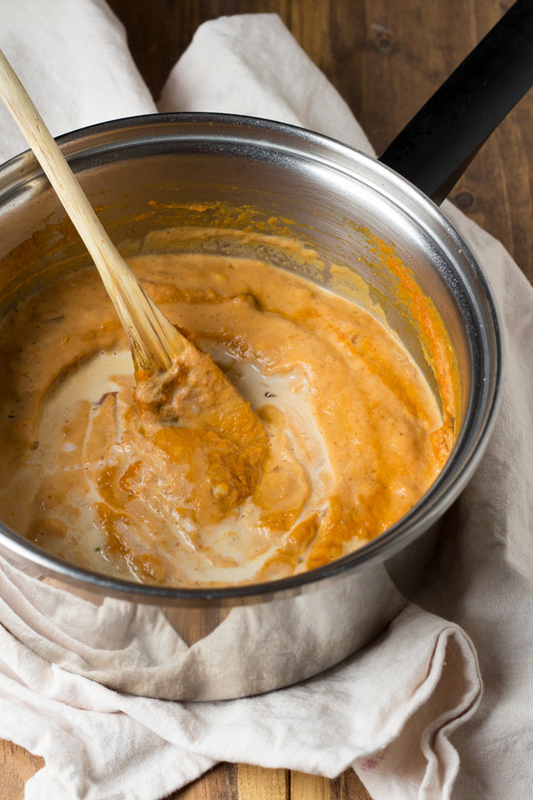 Serve this classic winter recipe with a side of grilled cheese for good measure. Get the recipe. 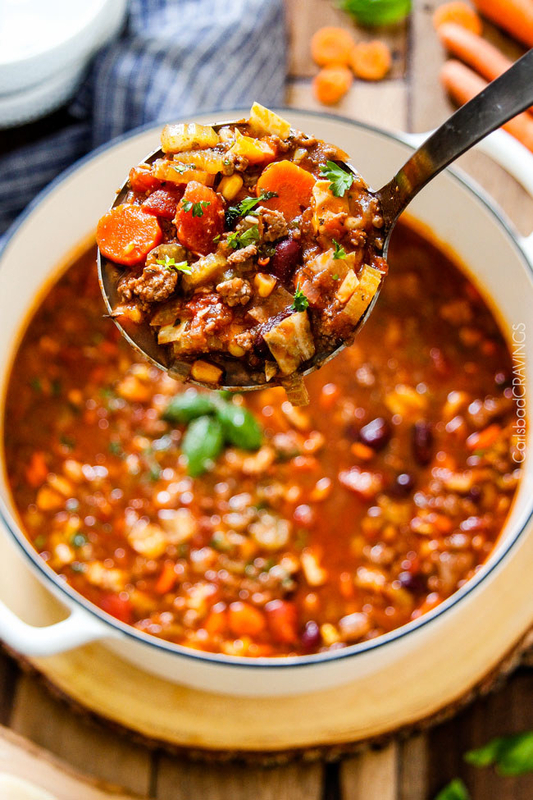 You can use any ground meat you like best, or you can leave out the meat completely for a hearty vegetarian meal. Get the recipe. 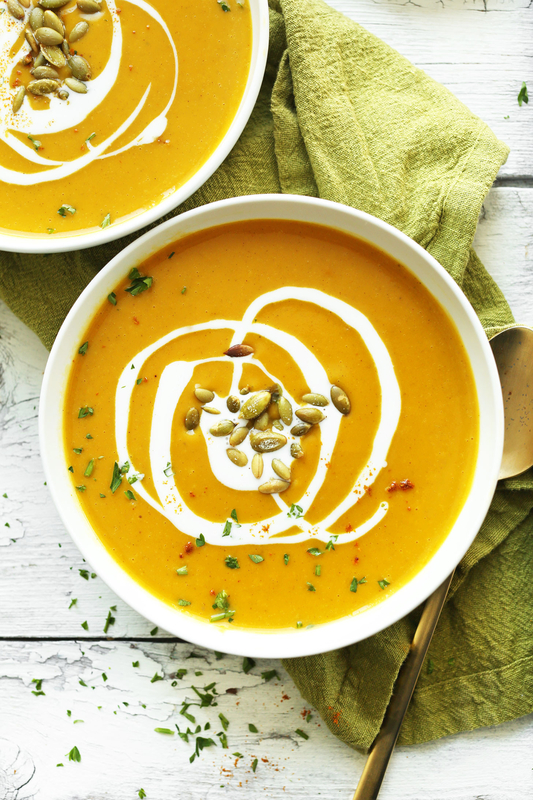 Savory sweet potato soup gets an Asian flare (and a serious kick of umami) from white miso paste, sesame seeds, and chili flakes. Get the recipe. The star ingredient in this recipe is hominy (or maize), which you can find at any grocery store. 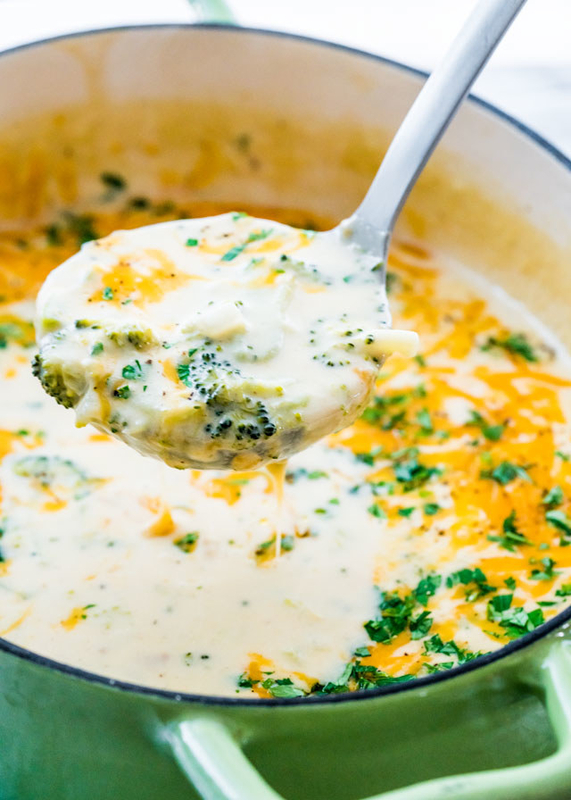 Here, it's simmered in chicken stock with diced green chiles and poblano pepper and garnished with anything from avocado and tortilla chips to cotija cheese and cilantro. Get the recipe. 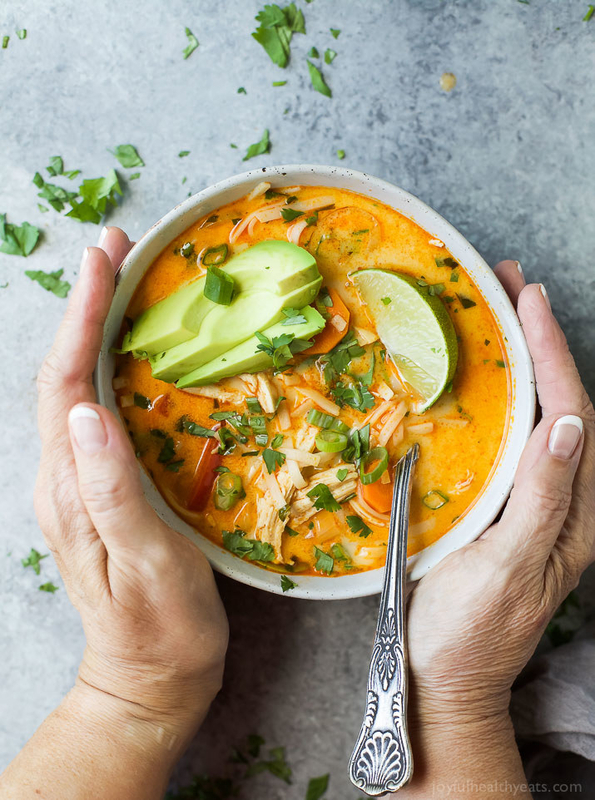 Your typical chicken noodle soup gets an upgrade from red curry paste, coconut milk, lime juice, ginger, and cilantro. Get the recipe. Forget about the $2 bowls of ramen soup that sustained you throughout college. This ~fancy~ ramen takes instant ramen noodles and dresses them up with miso paste, soy milk, soy sauce, and Dashi stock. Get the recipe. Egg noodles, you've been replaced for cheesy, tender tortellini. Get the recipe. 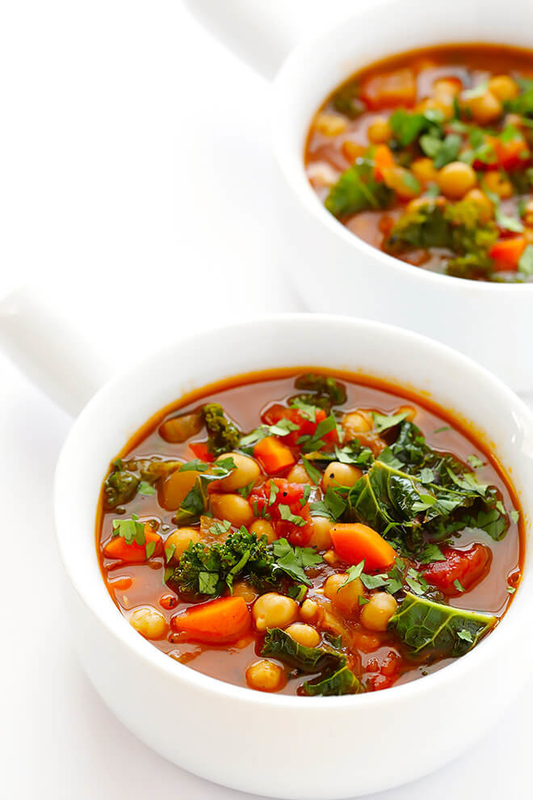 The best thing about this recipe is that you can mix it up and add all of your favorite veggies (or just use whatever you have sitting in your fridge). Get the recipe. A take on the classic Russian recipe, this filling bowl is loaded with cremini mushrooms, thinly sliced sirloin, and egg noodles, all cooked in a rich and creamy beef broth. Get the recipe. You don't have to reach for the takeout menu to enjoy this Vietnamese dish. Chicken broth gets a kick from ginger, chilies, fish sauce, and sugar. Then, it's loaded with rice noodles and chicken and garnished with herbs. Get the recipe. and canned fire-roasted tomatoes. Get the recipe. This Mexican-inspired chicken soup packs a serious kick thanks to jalapeño pepper, cayenne, and smoked paprika. Then, it's loaded with all your favorite toppings like black beans, avocado, tortilla strips, and cilantro. Get the recipe. Never ever settle for the canned stuff again. The trick to this quick and simple homemade soup: Start with a rotisserie chicken, then make a big batch. Get the recipe. This recipe is packed with rice noodles and julienned veggies in a tangy, creamy coconut milk broth. You can also add your favorite protein like shrimp, scallops, chicken, or tofu. Get the recipe. 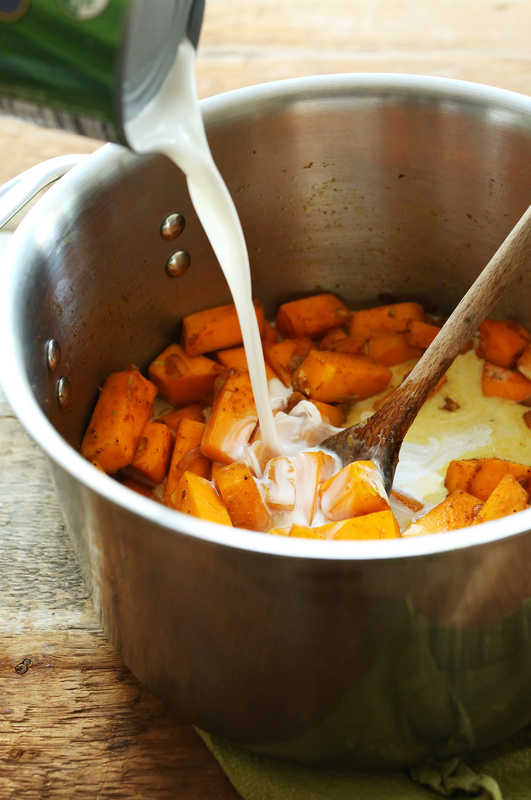 This recipe takes classic butternut squash soup and gives it a twist with cinnamon, curry powder, and coconut milk. 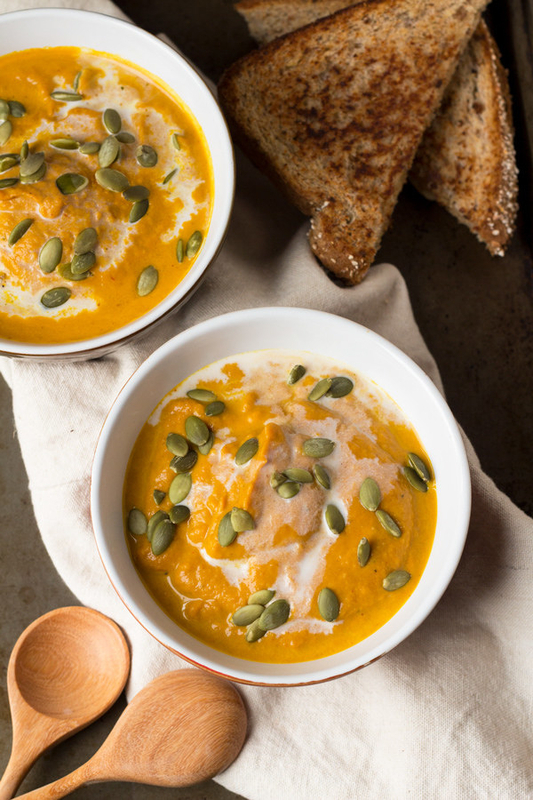 Do yourself a favor and top your bowl with toasted pumpkin seeds, roasted garlic, or crème fraîche. Get the recipe. and rice noodles, but you could easily add shrimp, chicken, or tofu for more protein. Get the recipe. Turns out, this comforting Chinese soup isn't so difficult to make. And you only need a few simple ingredients like eggs, chicken sauce, ginger, onions, soy sauce, and shiitake mushrooms. Get the recipe. Transport yourself to the vineyards of Chianti over the dinner table. Just don't forget the garlic bread for dunking. Get the recipe. This low-carb recipe calls for spiralized zucchini noodles in lieu of pasta. Get the recipe. Keep a bag of frozen peas and some chicken broth on hand and you're just a few simple steps from dinner. Get the recipe. The secret to this thick and creamy bowl is roasted garlic hummus, which you can pick up at any grocery store. Get the recipe. This meatless recipe is full of vegetables, filling kidney beans, and best of all, decadent tortellini. Get the recipe.